Has anyone heard of the name Tortora Brayda? My father's cousin in Naples told me in a letter that my great-great grandparent was "marchese di Tortora Brayda dei Duchi di San Donato". Can anyone help me learn what exactly this is? He wrote back and told me that "Tortora Brayda was nobiliar title of his clan." We are having some trouble writing back and forth because of translation difficulties. How very interesting! I am at the moment doing some research on noble families in Calabria and Baisilicata, in particular around the Molfetta etc. 1-Open : Libro d'Oro della Nobilta Mediteranea. The Dukes of San Donato are an extremely well connected with the most important noble families. Check also Casata LUPIS. They have absorved many lines - extinct = no male issue. etc. NOW ==There is a line of Tortora Brayda in Spain and in France. They are Tortora Brayda di Belvedere y Ayello. Check. Check also in FACEBOOK. ALL THIS is very interesting and requires knowledge and patience to extricate possible connections. May be true, and may be not. Lots of work. Do you have MORE PRECISE information to follow through? Amici piu' di prima da lontano". TORTORA is the base name for all the variations, alterations, derivations of this surname which is listed in the Italian surname dictionary. The source for the TORTORA name is found thruout Italy with the heaviest concentration in Calabria and the Neopolitan province where the surnames are particularly TORTORIELLO and TURTURIELLO and TURTURA while in Emilia Romagna region TORTORA and TURTURENNA. The name and all the variations are symbolic of christian innocence and modesty. TORTORICI is Sicilian and concentrated in Messina ( no doubt a spill over). Thank you both for your help. Yes, I totally agree, there is alot of research to be done. During the last year or so I have poured over Old Calabrian historical book websites and am very interested in the Campolongo Barons that hailed from Normandy. This is the first time I have had any collaboration from my native Italian family in Naples that has any slight links to my research. My father's family came over from Naples in the early 1900's. My great great grandparent, I am told, was a lawyer "avvocato", Giuseppe Campolongo, his wife was Elvira Tucinelli. I've had not much luck with research on the Tucinelli surname. I sent a note to Italy asking if there are any Calabrian roots (rather than Naples only). I am waiting on the reply. It is all very fun and interesting. Mostly it is great because I've been able to get in touch with family in Italy that I didn't ever know before my genealogy efforts, whether I have titles of nobility in my line or not. Thanks for the links, I will look at all of them. TORTORA Family has a crest. Very beautiful by the way. Will send site later. Very busy now meeting a deadline. It is the authentic, not made up by commercial outfits. Do not trust sites not confirmed by proper authority. Everyboby can post all sort of crests. Including using them without the authorization of The Consiglio dei Ministri and the President of Italy i.e. the final authority on the use of - crests of cities and comunes, as it were they own. There is an Italian law about their use. Do not try it in Italy!!!!! Dear rg the surname BRERA is the base surname for Breda,Bredi,Braida,Braido,Braidi, Braidis and Bra. Brera is spread thruout Lombardy region while Braida extends to the Veneto region. 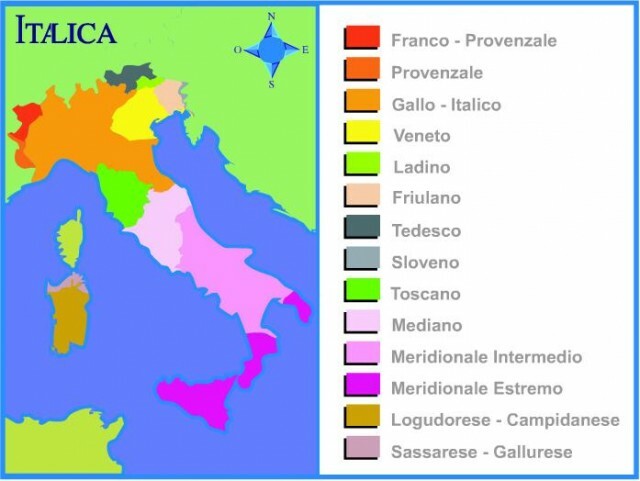 The variant Braida from medieval times and longobard roots consisted of braida, bradia, brera,braia, brea spread from Verona, Genova, Milano, Mantova and Brescia in Northern Italy. I was looking thru some stuff last night on my Grandparents name..this is just a bit of what I found..it was a good site..just put the letter of the name u want and hundreads come up with the meanings.. I looked up the surmans in the family..
Is that a commercial site where you can buy things relating to family crests or is the site you researched accredited by an Italy heraldry association or University where only nobility is researched? There are also surname sites based just upon surnames without reference to heraldry? And why give us a translation of the word for Italy Marchese into France Marquis? Well, it was just interesting to see that rg 1905 had mentioned Marchese. I know that it was used in France as well as Italy..no real reason, just interesting..my Grandfather was from an area near Naples..with the name Marchese..some times spelled as his is.. There are more than 1200 cities,towns and villages in Italy that have people residing therein with the surname of MARCHESE. I know, Ive seen this site before. We should connect. I am the last in the primary family line. I just moved over from Italy to CA.